This town is the favorite to many travelers, if you didn’t get the chance to see it yet, you will be so lucky if that’s your collection point! Krabi Town has its own tranquil ambiance and a very rare kind of charm. Not to mention all the delicious local food that you can snack on at very low prices. 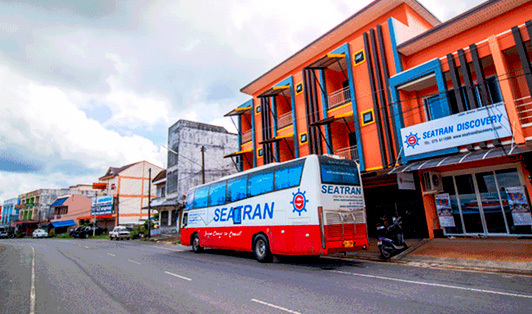 The collection point will be right in front of Seatran Discover office in Krabi’s downtown. As soon as everyone is collected, we will start with the bus trip that will take around 3 hours, once we reach the pier, the operation staff will guide you to your boat and assist you in any way they can. Don’t forget to print out your e-ticket and hand it to the staff when requested.